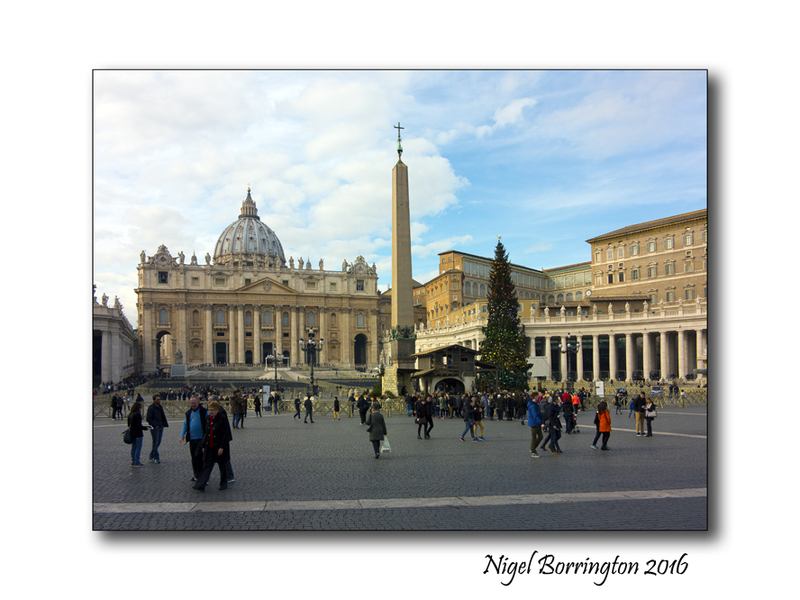 Over the Christmas Holiday 2015/16 we visited Rome a city I love very much for among many things its amazing buildings. 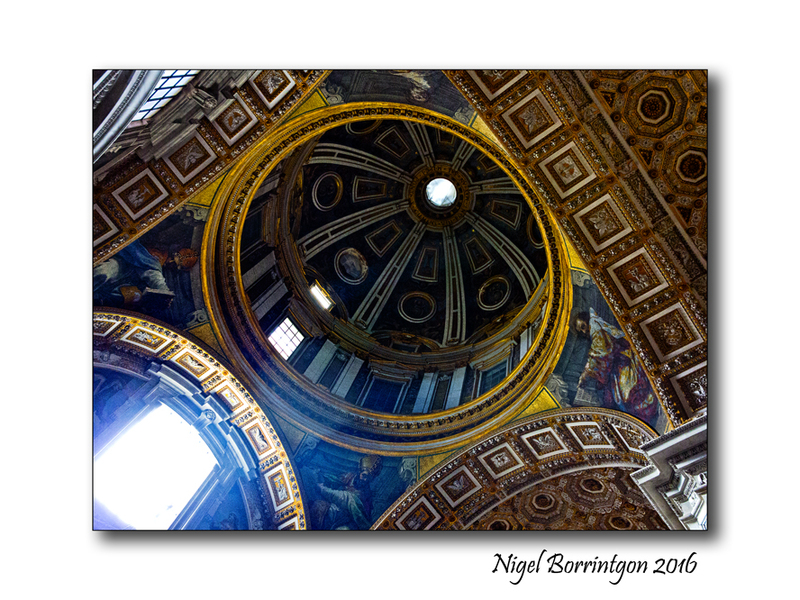 On visiting St Peters Basilica, a must do ! , the weather was just amazing for the time of year. 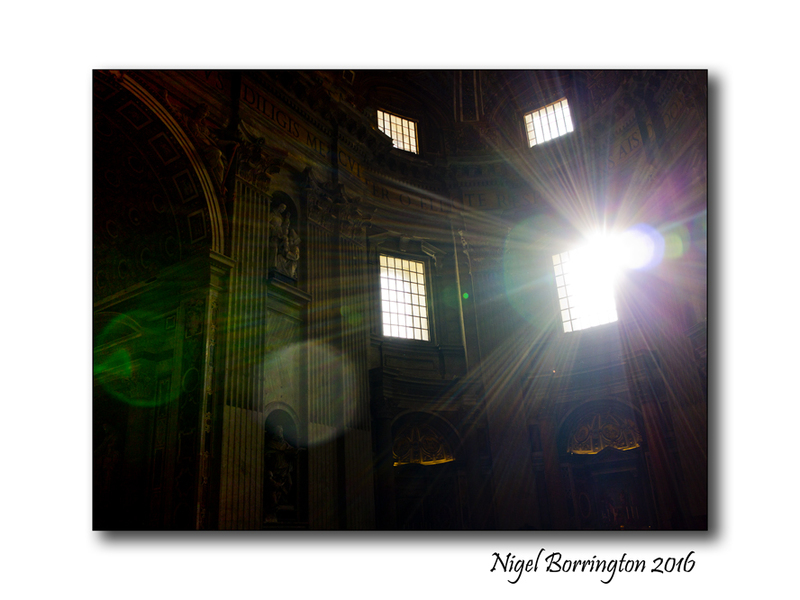 Along with the stunning architecture and art, the one thing I could not help but notice was the light from the low December Sun flooding through the many windows located high on the walls around the many domes and chapels. I spent a lot of time doing my best to capture the effects that this Sun light was creating and here just wanted to share a few of my attempts. 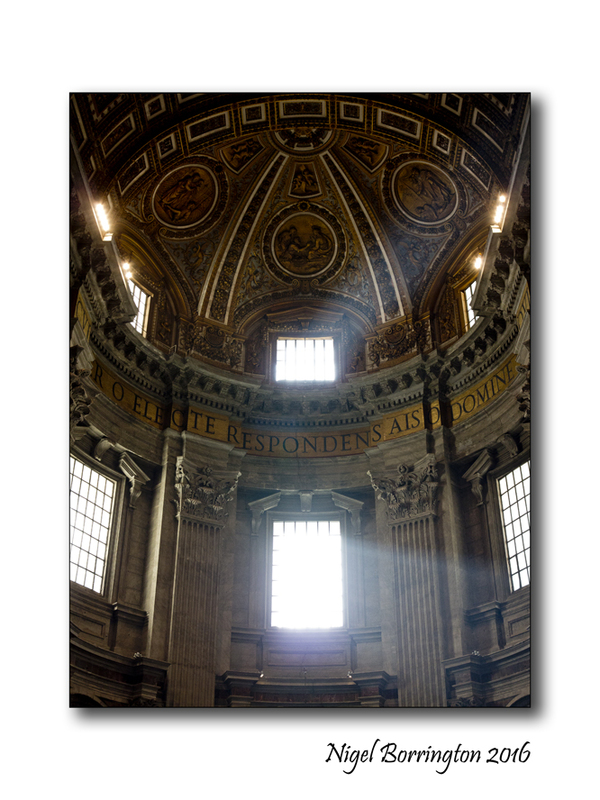 Rome is a city of outstanding churches, none however can hold a candle to St Peter’s (Basilica di San Pietro), Italy’s largest, richest and most spectacular basilica. It is Built atop an earlier 4th-century church, it was completed in 1626 after 120 years’ construction. 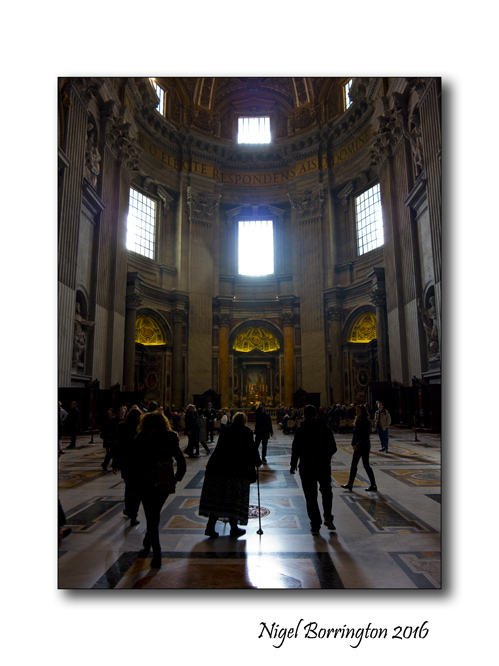 Its lavish interior contains many spectacular works of art, including three of Italy’s most celebrated masterpieces: Michelangelo’s Pietà, his soaring dome, and Bernini’s 29m-high baldachin over the papal altar. This entry was posted on January 7, 2016 by nigel borrington. 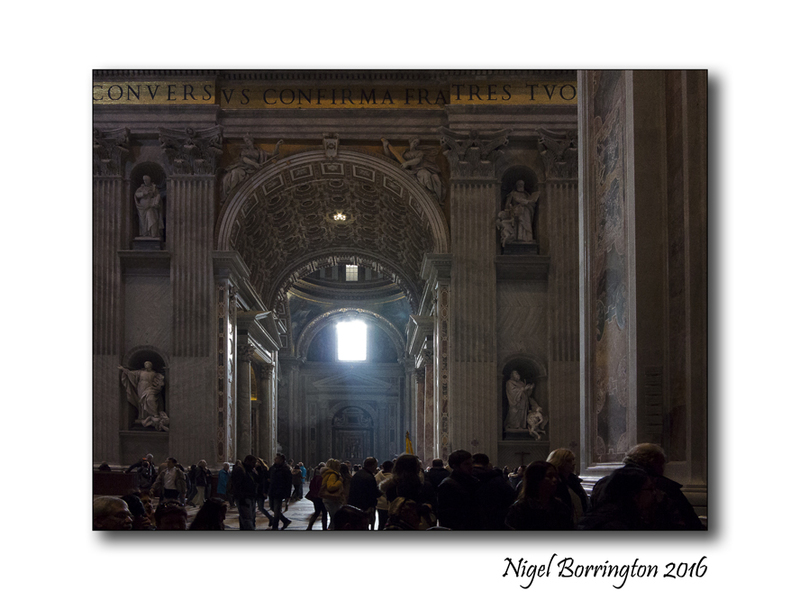 It was filed under Cityscape, Nigel Borrington, Rome, Travel Locations and was tagged with italy, light, Nigel Borrington, Rome, St Peters, sun, The Vatican. A fantastic post, Nigel. The sunlight streaming through those windows is fabulous. Thank you!